The physical and mental changes can result in irritability, feelings of hopelessness, loneliness, changes in appetite and sleep patterns, difficulty concentrating, social withdrawal. All symptoms of depression. Millions of Americans over the age of 65 are diagnosed with depression. Countless more cases have gone undiagnosed. The impact of untreated mental conditions in older adults is massive. All this adds up to a growing, even urgent, need for senior counseling. The population is aging. Your loved ones are aging. It’s crucial that these individuals have easy access to care beyond medication. Perhaps it is time to discuss the option of therapy with them. There are instances when medication is absolutely necessary. But at times addressing issues that arise with therapy can be equally effective. Or therapy can be used in conjunction with medication to greater result. And senior counseling comes without any dangerous side effects. As a matter of fact, it has positive side effects! These include increased confidence, self-esteem, and optimism. These days, it seems everything gets chalked up to age. We hear the catch-all phrase, “it’s part of aging.” This is a very unproductive approach. Yes, our bodies and minds change was we age. But a rapid decline is not inevitable. We must find a more optimistic mindset. Not just optimistic but also realistic. Seniors need to feel they are continuing to live fully and enjoying life. There was a time when toys and play dates gave our life meaning. Then, of course, we grew up. That’s how transitions work. 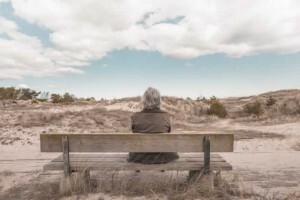 Aging, retirement and the empty nest aren’t inherently bad. They are part of yet another transition. No longer do our career and raising our children dominate our life. We now have a chance to tap into other parts of our personalities! We’ve come full circle. As children, we’re encouraged and expected to ask for help when needed. Then, for decades, being independent is a major goal. Later in life, we re-learn the skill of not always going it alone. An important part of senior counseling involves helping loved ones form a solid support system. Thanks to rising life expectancy, retirement and /or raising children, isn’t “the end.” There’s no reason why aging adults can’t create and plan for their future. At any age, we need a compelling vision for our future. It is a powerful source of self-esteem. Such hope gives us a sense of mission. It’s never too late. This cannot be overstated. Your aging loved one may have never tried therapy. They may have even scoffed at it. But post-retirement is a time for new choices. Senior counseling could be the most important new choice of all. To read more about Senior Therapy click here.